When designing single-angle connections, SDS/2 will follow the recommended minimum angle thicknesses found on page 10-133 of the AISC 14th Edition Manual. Recommended minimum angle thicknesses are 3/8 in. for 3/4 in. and 7/8 in. diameter bolts and 1/2 in. for 1 in. diameter bolts. 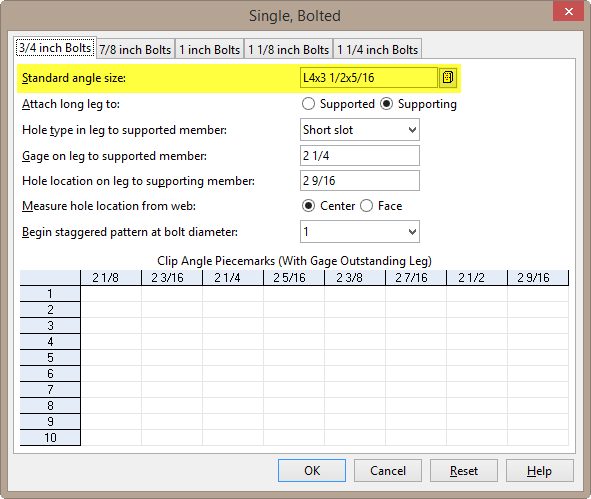 Users specify the angle size for SDS/2 to use when designing single-angle connections in Job or Fabricator Options > Standard Fabricator Connections > Clip Angle Configurations > Single, Bolted if bolted, or Single, Welded if welded. If the angle thickness specified is less than the AISC recommended minimum, a failed message of Angle thickness less than minimum required by AISC will be seen in the beam edit window when a single-angle connection is specified. 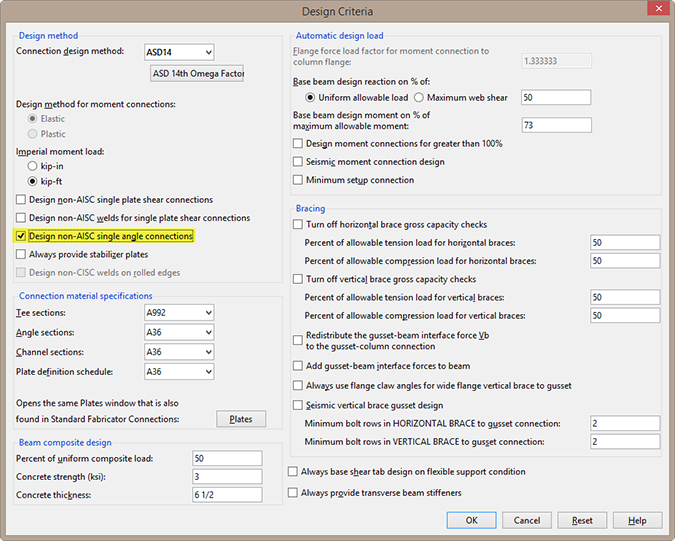 To override this AISC requirement, turn on the Design non-AISC single angle connections check box found in Job or Fabricator Options > Design Criteria.